While accidents are regrettable, they are also occurrences that do happen in our everyday lives. Motorcycle accidents caused by drunken car drivers’ negligence and road carelessness which cause death, injuries and psychological trauma must not be swept under the carpet. The victims of such accidents must be duly compensated for their pain and the grievous experience they’ve endured. To achieve this, it is advisable to have the victim seek legal counsel as soon as possible. If you or someone you know is in this situation, reach out to Rawa Law Group. 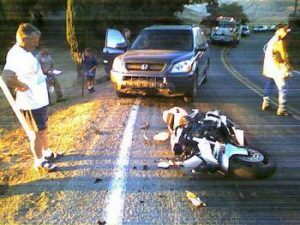 At Rawa Law Group, our attorneys fight for Fontana locals who are battling such situation and need a professional motorcycle accident attorney in Fontana to help them seek justice. Rawa Law Group is a 5-star law firm filled with some of the best personal injury lawyers in California. The legal luminaries in our firm have a combined legal experience of 50 years, and these expert lawyers are all eager to help you find closure which is why they are ready to put in long hours to see your case ends with a satisfactory outcome. When you work with the professional team of lawyers at Rawa Law Group, you can rest assured with the knowledge that your motorcycle accident attorney put in all the extra effort and hours to make sure your case has the potential to lead to an adequate compensation. We work with you as a team, keeping you updated on all steps and processes your case has undergone. If you choose to stick with our law firm, you’d be doing yourself and your case a wealth of good as you would be assigned a dedicated motorcycle attorney in Fontana who will handle your case professionally and personally, ensuring it receives max attention. Contact us at Rawa Law Group today for an ethical service with no upfront payment.